A new issue of PKD Otaku has been published. You can view it here: PKD Otaku Issue 35 or view past issues. A new issue of PKD Otaku has been published. You can view it here: PKD Otaku Issue 32 or view past issues. A new issue of PKD Otaku has been published. You can view it here: PKD Otaku Issue 30 or view past issues. 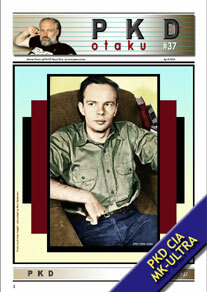 A new issue of PKD Otaku has been published. You can view it here: PKD Otaku Issue 29 or view past issues. 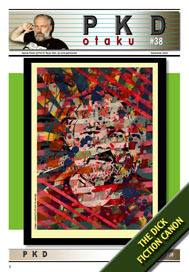 A new issue of PKD Otaku has been published. You can view it here: PKD Otaku Issue 28 or view past issues. This issue of PKD Otaku holds special significance because of two related reasons. First, the issue is entirely devoted to the life and recent death of Paul Williams and second, the issue was published on May 19th, 2013 which would have been Paul Williams 65th birthday. This beloved man definitely will be missed.